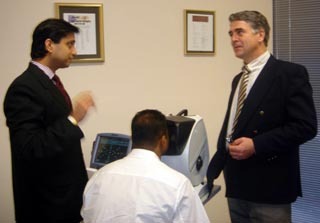 The Gulani Vision Institute has become a destination for eye surgeons worldwide wishing to observe and learn about Dr. Gulani’s advanced surgical techniques. Here is a video library of Dr. Gulani's innovative techniques and interviews in Medical Media. If you missed attending Florida Eye Surgeon Dr. Gulani’s lectures or courses at the American Academy of Ophthalmology or European Society of Refractive Surgery, please call our Clinical Coordinator for information on Dr. Gulani’s future teaching commitments at national and international conferences worldwide. Please call or e-mail our clinical coordinator to sign up for advanced training sessions, observerships and Advanced Surgery courses. 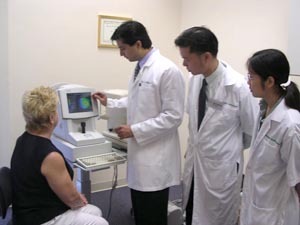 Disclaimer: Any person reviewing the information and materials presented here should do so by their own judjement, at their own risk and discretion and obtain specific medical advice and answers to specific medical questions relating to their respective personal situation, by an eye doctor of their choosing.Dr. Arun Gulani and all staff of Gulani Vision Institute disclaim any and all liability for any injury or other damages resulting from the review or use of the material/information/surgical videos and graphics on this site by you or anyone else.